Double 7 – turned into a triple 7! I’ve finished my my double/triple 7! I have to say, I’m a bit surprised how well it went. I decluttered more than my goal. I wrote on my blog every day! And I added one more 7 day that I finished today. One more? 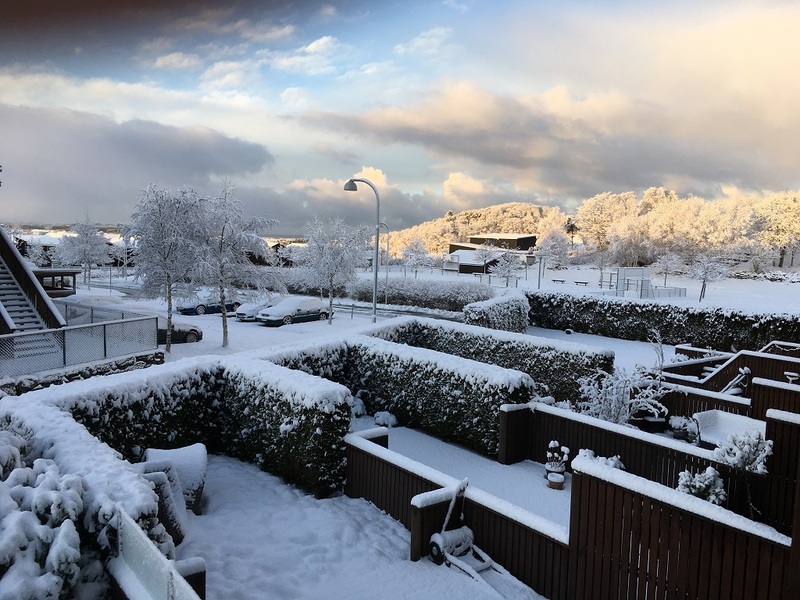 I thought you were doing two 7 day tasks – decluttering and blog! You are right, those are the two I told you about, but Monday night (day 1), I decided to throw one more into the mix to make it a real 7-7-7. Since my health has been really up and down for a while, I have become quite a couch potato. So I had a chat with B about maybe doing one more 7 day task. A 7 days activity task, just to get out of the house. Wouldn’t matter what weather it was, we were going for a walk or at least, get out of the door, even if it was only for doing errands or walking around the house. If nothing else, regardless how bad the weather was, we were at least going to put outdoor clothing on and walk outside!!! We started Tuesday! And today our 7 days are up! And we did good! We have been out, ever day. A few days the weather has been terrible, so those days we pretty much ran errands, in all sorts of stores (plant places, food places, Christmas gift stores). Outside of shopping, we have done stuff for my step-mum, we have tidied up a couple of graves for Christmas and we have gone for walks, short ones and a little longer ones. Yeah, I know it’s nothing impressive like running marathons or biking 10 miles every day, but hey, we have been out and about – every day! That’s better than staying on that couch. And hey, this is my 8 day of blogging – so maybe there is hope? It’s Sunday and we are at day 7 of my 7 day thing. The rumor is it’s only going to last a couple of days, so rather than spend time on decluttering, I started my day shoveling snow. Gotta clear those pavements! 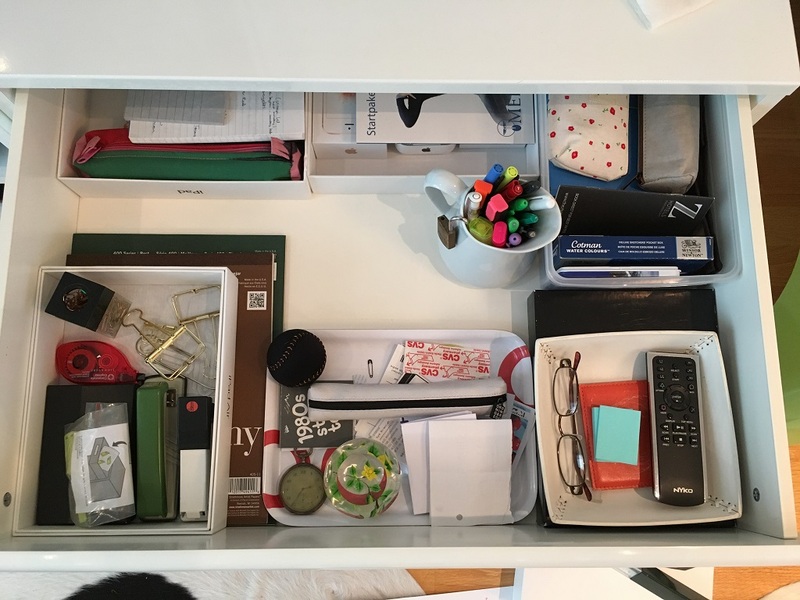 So I’m sure you’ll forgive me for making this declutter post short and sweet! All I’ve got for you today, is a bunch of random stuff from around the house. A few things from the bathroom, a few things from the kitchen. A little here… a little there… Before you know it, it actually adds up! I think I nailed it! Unge Spor (Young Tracks) – is a voluntary organization who works with kids, youth and young adults, to spread the joy of performing arts. As part of their organization, they have a group of regular members (age 14-25) who are the backbone of the organization. This group of “kids” gets to participate from A to Z on Unge Spor’s projects. This includes organizational work, music, dance, drama, scenography and more. The “kids” gain indispensable knowledge, and at the end of the projects they put on exceptional shows and performances. You might say that “Unge Spor” (Young tracks), has established themselves as an important cultural force in my region. Since they are a voluntary organization, they don’t get much support from the state/region. Which means, they rely on sponsorship’s, donations, and other gifts. A few weeks back, they posted a request for an old used iPad, in one of the buy/sell Facebook groups I follow. As both B and I had a couple of older iPads, that we no longer used, we decided we could help them out. I called the groups leader, and, oh boy was he happy. He popped by a little while later, and not only did he leave with 2 iPads, but he “ran” out of here with a couple of extra bags. Turns out they could do with some extra props for their theater shows, and I just happened to have a couple of suitable items they could use as props + I had one more item! I used to be an avid “Nescafe cafe au Chocolat” drinker. They sell them in boxes with 8 pouches of instant mix – just add water. And you know what, a group working with a bunch, as in a big bunch of kids… yeah! We are at day 5 of my 7 day thing! My head is playing up like nobody’s business, so today’s post is short! For as long as I have had my blog, I’ve been working on downsizing my book collection. 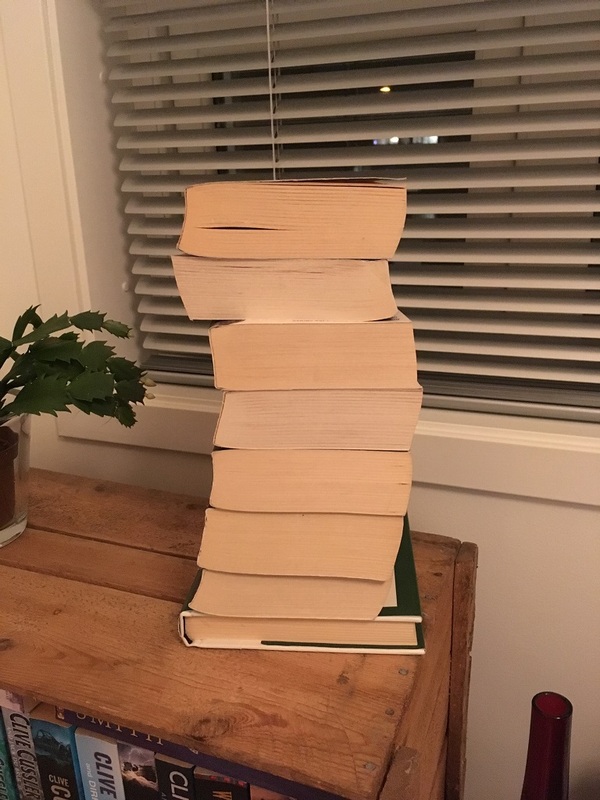 Back in 2014, I started reading myself through my bookshelves, and called it my “Read a book program“. The idea; read one of my books, grade it, and depending on the grade, either keep it or get rid of it. I didn’t do too good with this task during 2016, and started it up again this year. My 2017 goal? 100 books. So far I’m not doing good on my goal at all, as I’ve culled only a few, and I doubt I’ll make my 100… But even so – a little here, a little there is still helping! Here is another batch making it out-the-door! PS. I just found a blog post in my drafts folder from June this year, that I never posted. It was all about books! I remember it well! It was all written up and the only thing I needed to add, was the photo (which I needed to take first). Somewhere in the mess of things, the books got delivered to the recycle exchange place, and I forgot completely all about the blog post. Even though I have no proof (read photo) – I’m just going to add those books to my tally. So here it is: 14 books out-the-door during June. Today’s task; declutter my living room catch all. Here it is in all it’s glory – yeah, I know, not pretty! Well.. I might as well get on with it – hang in there, folks – I’m going in! All done. Oh, that’s looking a little better now, isn’t it? Hey! Didn’t I just pass my goal? Nice! We are at day 3 of my 7 day thing. 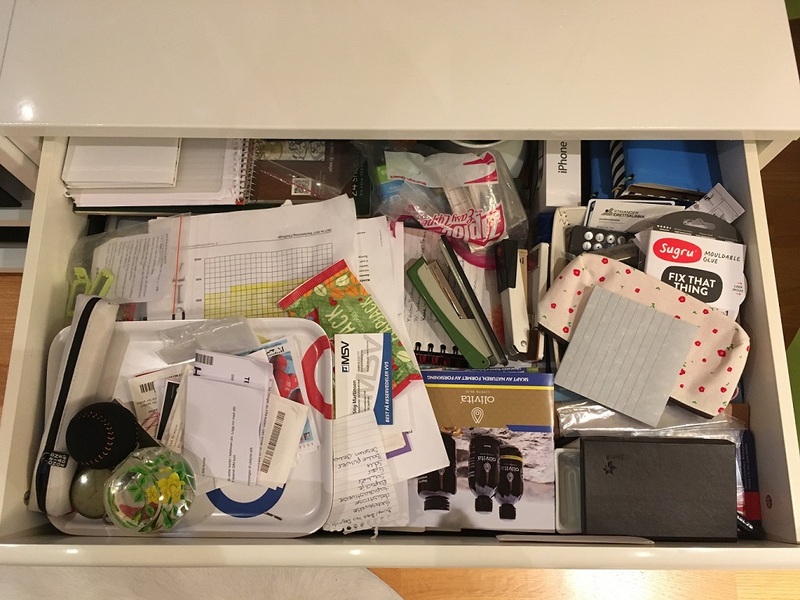 I’ve probably gotten rid of about 50% or so, since I started my declutter thing on this blog in 2014. Since I left the workforce (soon to be two years ago – my how times fly), I don’t have to dress up for meetings or change from work stuff to everyday wear everyday. These days, I pretty much live in the same type of outfits all the time – jeans, t-shirt and a sweater (weather depending). Since I changed my diet (for health reasons) last year, I lost about 15 kilos or so. It took quite a while before my weight stabilized, and since it was fluctuating quite a bit there for a while, I only got new pieces of clothing when I absolutely needed something new that fit me (it’s not that fun walking around in clothing that is way, way to big). It’s hard though, to downsize, as I have clothing that are good quality for those special occasion like party’s, Christmas and other meet ups. Even though I only use about 30-40% of my closet on my daily outfits (remember – jeans and t-shirt kinda girl). I still need to keep the other type of outfits around. Since I happen to be kinda picky about what I wear (even when it’s only jeans and t-shirts), I’m having a hard time finding suitable replacements that fit my current size. Which unfortunately means, I’m still hanging on to a few items to many of my old stuff. I have not given up hope that I one day will have this beautifully curated minimalist wardrobe… and the only way I’m going to get there is to forever chip away at it. Which brings me to today’s declutter write-up! We are at day 2 of my 7 day thing, and today is a pretty easy one. 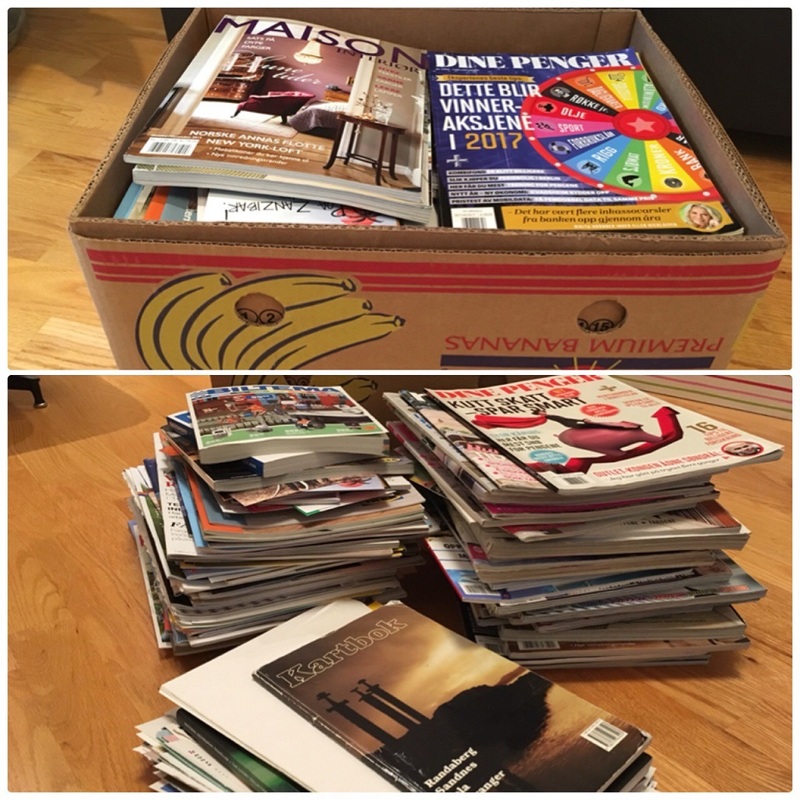 Earlier this year, I got quite a few used interior magazines for free (which is great, since I have stopped buying my own). I’ve enjoyed reading them, but I’m all done, and I’m ready for them to leave the house. So I’ve been adding all sorts to the pile; old magazines, new magazines, manuals, catalogs, travel brochures and my tiny little nemesis – articles I have ripped out of magazines/newspapers etc to keep. I have written about this habit before. I still have a stack of manuals, but they all belong to items I own. So I guess they’ll be sticking around a little bit longer! Yesterday I mentioned I would do one more run at getting some of my junk out of the house, before Christmas. As I meander through my days, there are times I come across items I no longer need or want, as I’m sure we all do. I have gotten into a habit of putting these items into my guestroom, until I get around to actually get the stuff out of the house. Well my guestroom is “piling” up (well not really.. 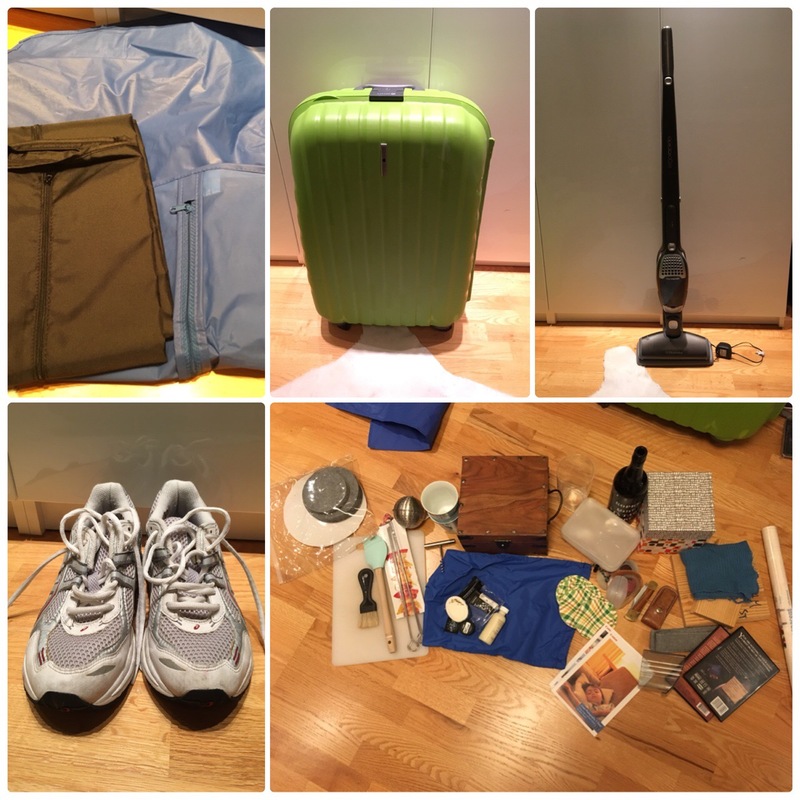 I could hide it away if I wanted it to… but… ) and it’s time to see some of these items actually leaving the house. So here we are – Day 1! I changed my diet about a year ago (for health reasons), and there are things I no longer eat or use as part of my food preparations. So the other day I went through my food “pantry” (well, just a regular kitchen cabinet, really) and sorted out the stuff I no longer plan to use anytime soon. 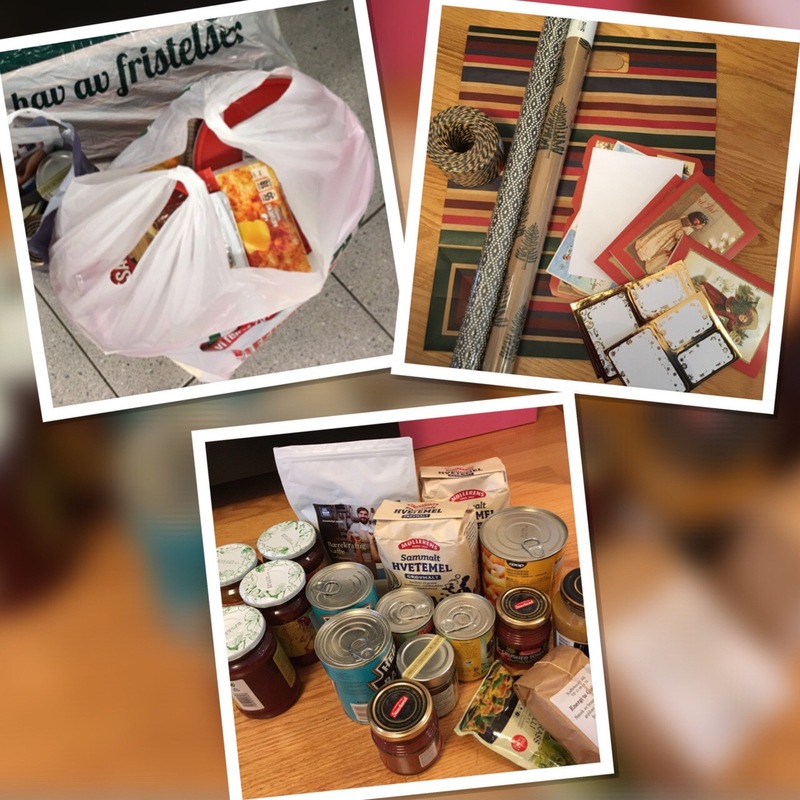 I picked this time a year to do this particular declutter task, as one of the organisations I follow, “Hjelp oss å hjelpe, Rogaland” (help us to help, Rogaland) are gathering food to help people out, especially over Christmas. B took a look at his place as well and found a couple of things. In addition to our own stuff, we did a miniature shopping “spree”, and got some Christmas cookies, candy and other more Christmas’y dry goods from the store. We wanted to add a little extra to the mix. We will get them some more a little closer to Christmas, stuff like meat and other perishables. In addition to food, they have also asked for things like small gifts and wrapping paper. So I did a quick rummaging through the house and found a couple of unopened rolls of Christmas wrapping paper. We just delivered it all at one of the collecting point in my neighborhood. I love it when there is a win, win, win situation like this. I get stuff out of the house, we get to contribute, and someone out there might get a little of the help they need. 14 gift wrapping items; paper, gift bag, tags. Christmas cards and some string to tie it all together with. 29 items out the door! Double 7 – before the year is over! I can’t believe how fast this year has gone, November is behind us and we are already a few days into December. This is the time where the holiday celebrations are soon upon us, and we are busy preparing for them. And most likely the last thing on our minds are working on our declutter endeavors (beside the stuff we need to do to prepare the house for the holidays). Well not this girl! I’ve decided I need to have one more go at it before Christmas 😉 I need to get some stuff outa here! 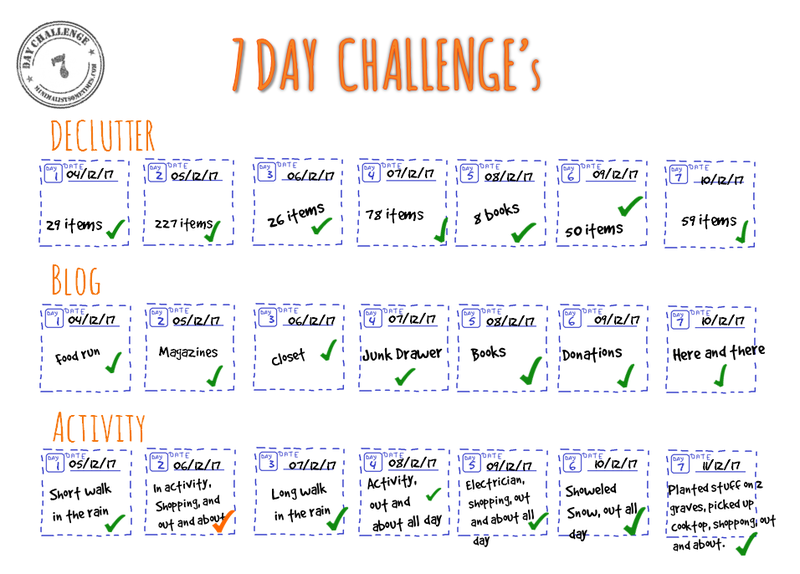 So I’m committing to a 7 day declutter run! Over the next 7 days (starting tomorrow) I will declutter 343 items! Which brings us to the 343, as 7 x 7 x 7 = 343 items out the door! Oh yeah, and just to up the ante, I’ll be throwing one extra task into the mix! As most of you know, I’ve been really bad at keeping up on the blog this year. 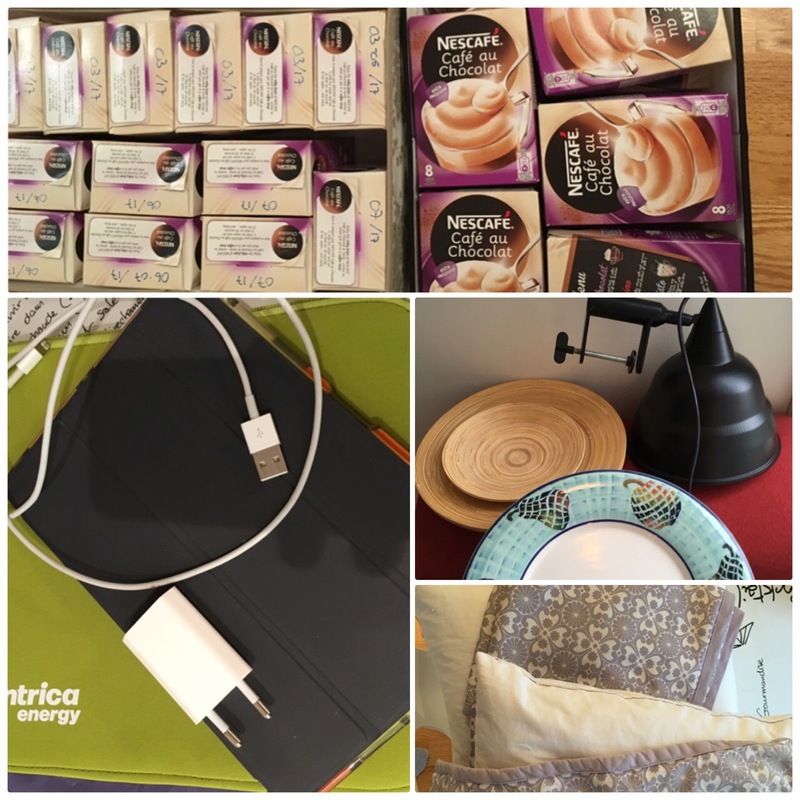 And I figured – since I’m committing to 7 days of decluttering, why not commit to do a daily write up of the items leaving the house as well? Then maybe I can get back into the groove of things! So there you have it – a double goal! 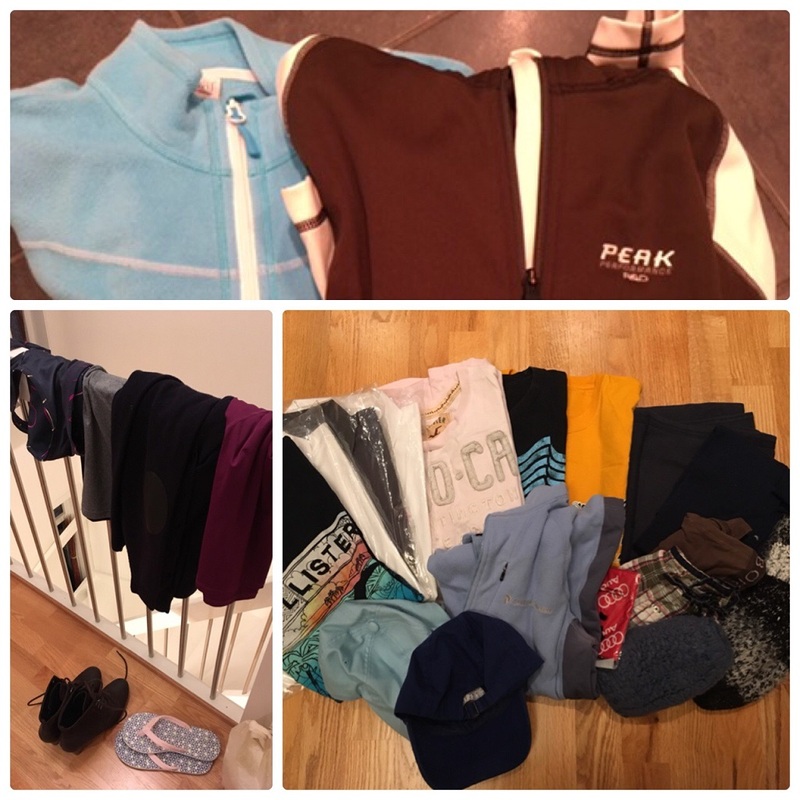 7 days – 343 items out the door – 7 articles on the blog! Let’s see how I do! Back in the groove of things! It’s been a while… I know, one of these days you’ll get sick of hearing me say this, I’m sure. With my head playing up like it’s been doing the last few months, I’ve learned that I have to pace myself when doing things. We have been a little busy actually! Mostly doing other people’s stuff. I’ve been dealing with insurance stuff for my step-mum, after a young man hit her car and ran away without leaving a note (thankfully there was a witness). We have been flexing our handyman skills at a friends place, installing a couple of ceiling lamps, changing door handles and oiling up a couple of doors and swapping out some reeeaaaallly rusted outdoor ventilation covers. We have helped my neighbor with moving some clothing cabinets, installing a couple of bunk-beds and a desk. Mostly just helped her set up her daughters room so it’s easier for them to share a room and still have a private corner. Have we done anything for us? Well yes, as a matter of fact… we have. You might remember from earlier this spring that we built a patio at a friends house? From that job there was some leftover decking material. 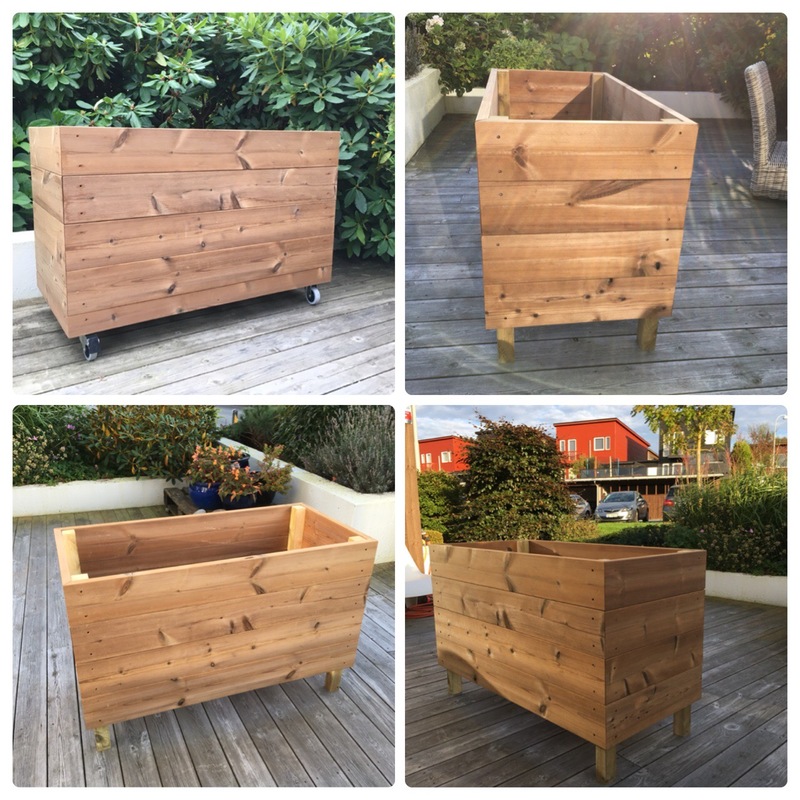 I’ve had a couple of plans for those leftovers, among them I wanted to build a “big” planter/storage box. 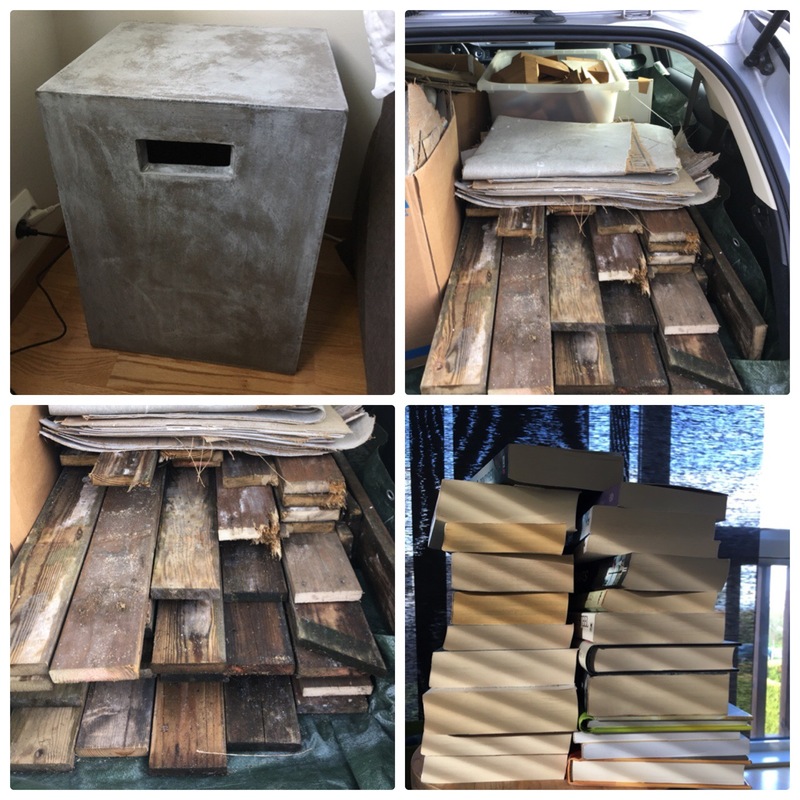 So about a week ago, we kinda finished that box 🙂 It’s on wheels so it’s easy to move around (it would be impossible without wheels, as it’s large enough that you would need three super strong men to move it, if it is ever filled with soil and plants). I will be using it as a combination planting table and storage box for material, like pots, mulch, sand etc. My decluttering has been a little on and off since you last heard from me. A little here, a little there…. So what has actually made it out of the house? Guess this is it, for now! You should be all caught up.. kinda 😉 So hang tight.. and I’ll see you soon! Who the hell am I keeping it for?